Naked Ape -- Wow! This one is so cute! "Magnolia" is all about the huggles ;p! 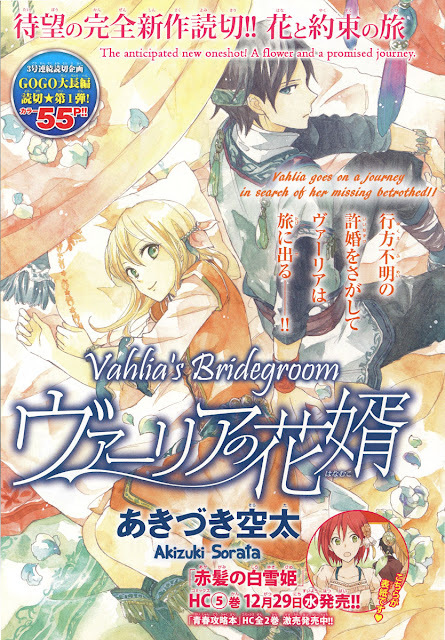 Jiru and Vahlia were engaged. But Jiru suddenly went missing! Four years later, Vahlia was betrothed to another man. During the night of the celebration of her second engagement, Vahlia decides to go on a journey…. in search of Jiru! Take a good look at the cover of this month's Aria magazine. It's so pretty! I'm gonna call March over two days ahead because the next two days I will not be doing much manga-wise. It's ;p and :/ at the same time. Hahaha! Darned that real life of mine! First an announcement for "Junketsu + Kareshi" fans, of which I know there are many of you and I know initially this is going to upset you...but I'm doing what's best for the sake of the story's continuity and everyone's sanity (including my own). Shouoto-sensei is taking a month off, so J+K chapter 10 will not release until late May in Aria 7. After taking a look at chapter 9, I've decided that where it left off in chapter 8 is less agonizing than doing chapter 9 now and leaving you all and myself hanging off the edge of a nasty cliffhanger for 2 months. 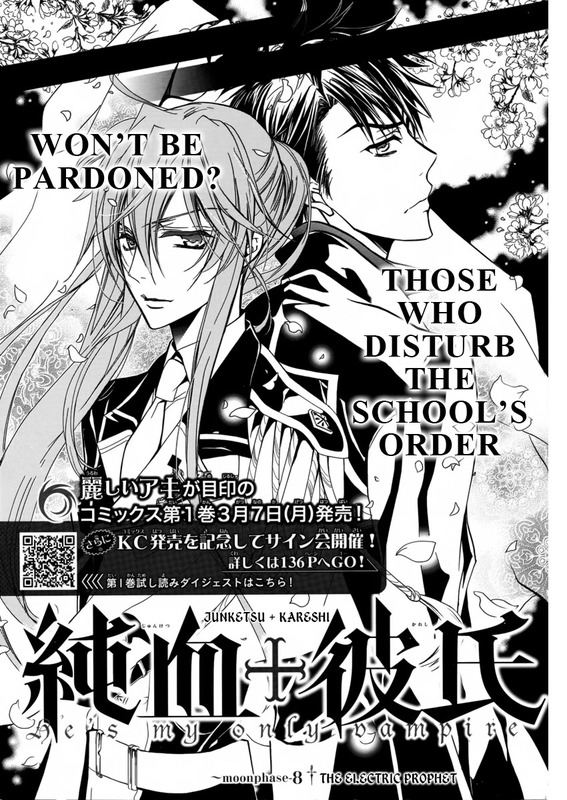 So instead we will do a J+K chapter 9 and 10 double release late May/early June instead. Trust me, you will thank me later for doing it this way. Now that that bit of business is done, here's what we've got planned for April! 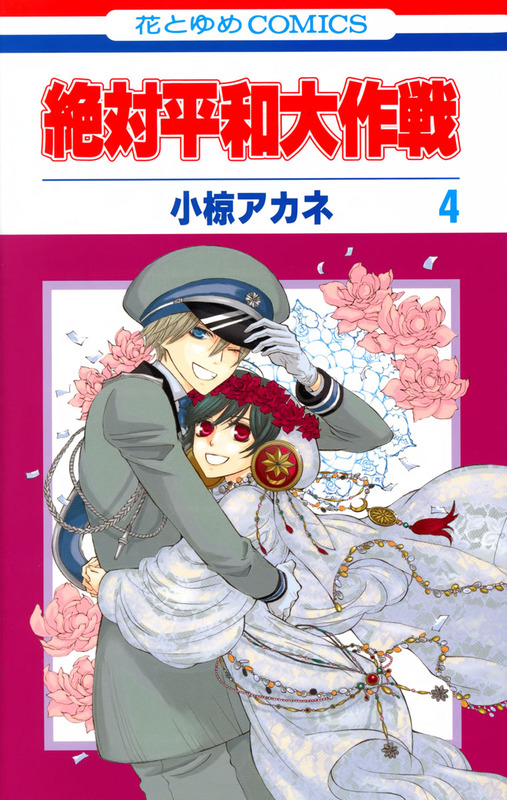 The Big Spring One-Shot: "Nanairo no Mukou"
There may be some changes to this plan depending on whether we decide to translate "3 Hearts". 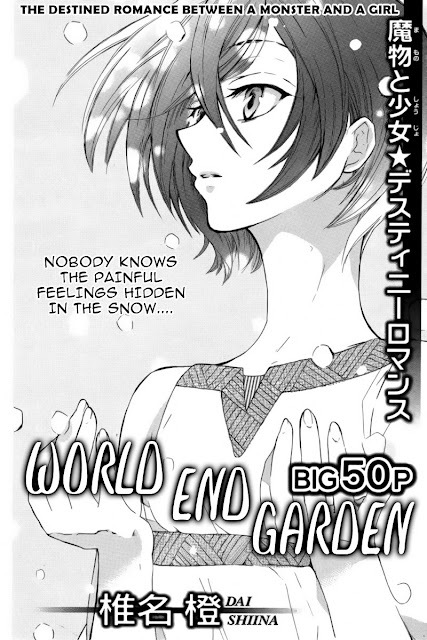 Just in time for the end of winter and the beginning of spring is our final winter one-shot, "World End Garden". Please forgive me, but I couldn't help myself on the credits page. This was another big undertaking by the group and they all worked very hard to get this out on time. A big thanks goes out to Suzume and Silver Lunar for getting this one-shot sparkly clean and to Kumiko and Ichigo Stars for doing some miraculous redraws. I'd also like to thank the mangaka Shiina Dai for such a beautiful and emotionally wide-ranging story and for her lovely drawings. I will admit that this was one of the most challenging works I've translated in a while, but it's a lovely story in Japanese and I hope I managed to capture that beauty in English. Here's a sample of some of the banners I received! You can download them and have some fun! 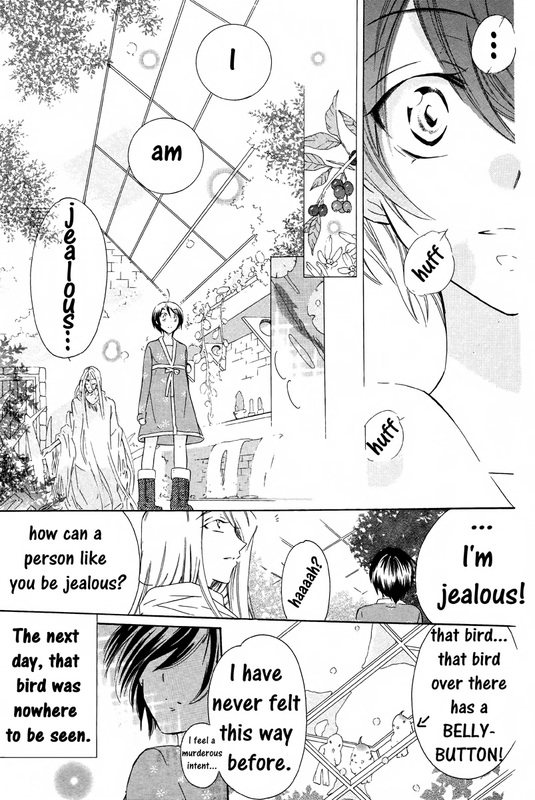 Thank you Suzume for the giggle :)! Update: Woot! I've got 5 or 6 lovely banners now! How about some "smuggy" ones? Or huggles? Update: Oooh! I've received my first banner and it's very nice! Keep 'em coming! Hello all! It's time to refresh this blog's banner for spring! I really liked getting reader created banners last time I updated, so I'm looking to the community again. Please leave comments either with ideas or links to banners you've made yourself. If you want a piece of artwork from any of our series to work with, send me some e-mail, and I'll see what I can do to help. If I get a good selection of banners, perhaps I will rotate through them. 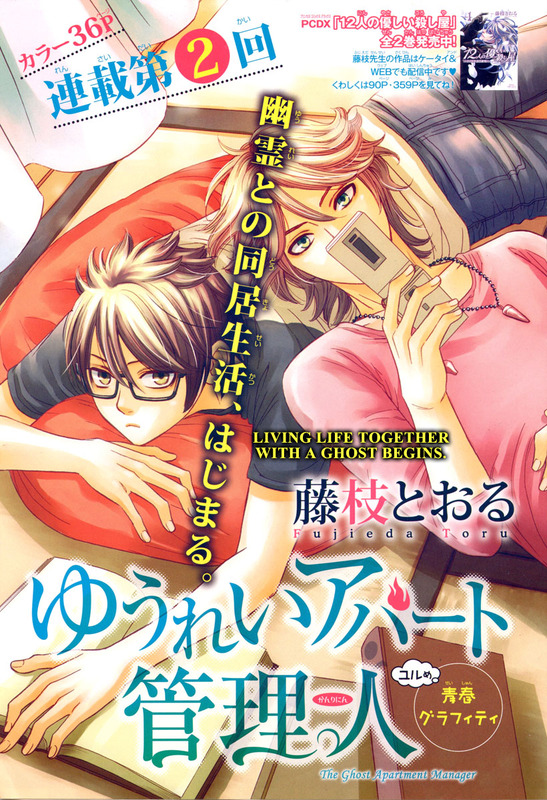 Here is "The Ghost Apartment Manager" chapter 2. This is another introductory chapter. In chapter 3, things really get started with the introduction of a lot of characters and the general story mechanic. I think many of you will be surprised by the route the story will take because it seems so low key now. For now though, Sekka and his interactions with the two ghosts are lots of fun. Japan Earthquake Messages from our Favorite Manga Artists! Here are some links to the earthquake messages and morale boosting artwork from our favorite manga artists! 03/24/2011: Update! More messages have been added! Go check them out! This series gets better with each chapter. It's funny, sweet, and fun all at the same time! And on top of that, the artwork is wonderful! 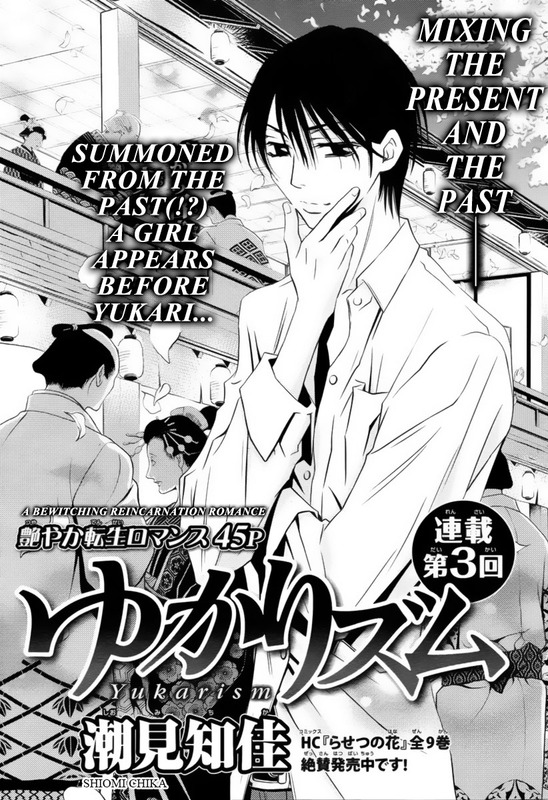 I hope Shiomi-sensei can keep up the momentum with this series. Finally some cheer! Here is the extra story and Ogura-sensei's thank you message from the fourth and final volume of "Zettai Heiwa Daisakusen". Little Matias is so cute and Yuda is an insane mommy. Poor little Matias! 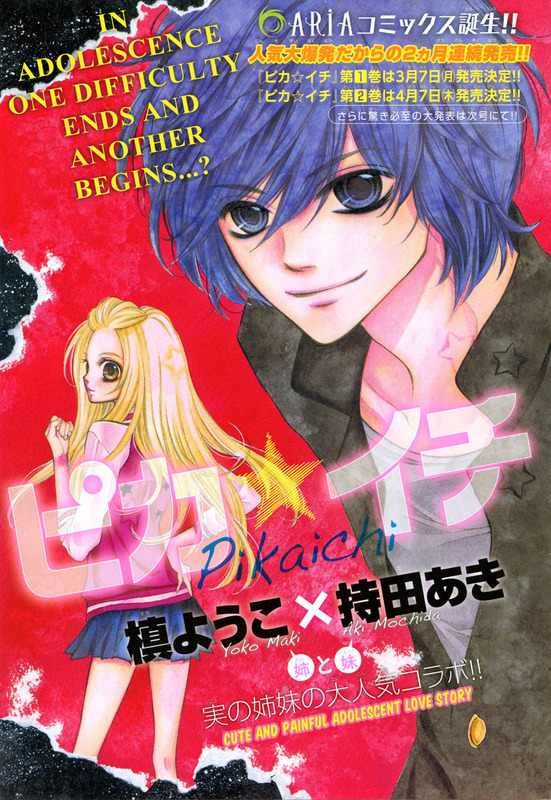 Here is "Pika Ichi" chapter 7. Things are settling into the mode of examining Dougen's personality and life situation and starts the anticipated Dougen x Hanako relationship. This chapter is a little bit shorter than usual (chapter 8 is also a little shorter) which was nice for us in terms of work load. "Pika Ichi" returns! I'm glad I took a break from the series. It allowed me to gain some perspective on the series and to see the next three chapters before deciding to continue the series. Make no mistake, this series continues to defy logic. Apparently adults do not exist in this story's world so it's basically like "Lord of the Flies". By the way, I hated the book "Lord of the Flies". For the most part senselessly violent children don't settle well with me. Still, I like Tarou, Hanako, and Manaka and I'm curious about Dougen and Misono so I will continue this series to see the character study. Hello to all the readers of this fine blog. It's Kuma-chan and I've come here to ask for your help today. As you may know, an 8.9 magnitude earthquake hit the waters near Japan at 2.46 pm local time on March 11, 2011. This earthquake triggered a tsunami which resulted in massive destruction and the loss of many lives in Japan. It's Omari's birthday this week! Happy birthday little brother!!! The long wait is over! This was a tougher chapter than usual in terms of translation, cleaning, and redrawing than usual. I think most of our active cleaners helped out on this chapter. I think we are all glad to have this chapter over with! Phew! Well, the chapter didn't go as I expected, but my random wish for pirates in the story did come true! Hooray for pirates! Here are some statistics from the month of February! 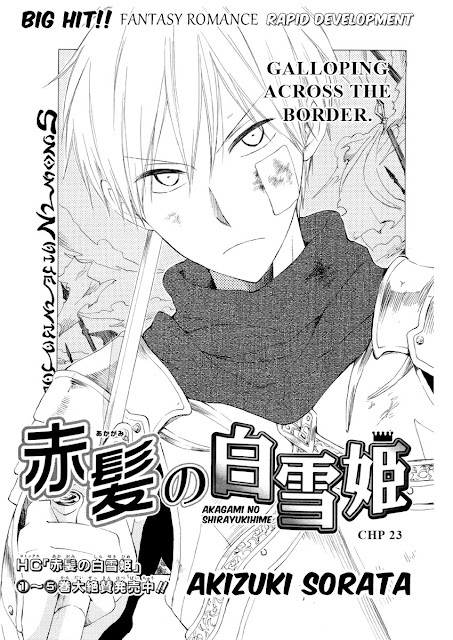 The title page for "Junketsu + Kareshi" chapter 8 is very deceiving. Neither of these characters shows up in the chapter (except the Student Council President very briefly in a flashback). Anyhow...this chapter pretty much goes as predicted, though, there are a few funny Aki snide remark moments (thank goodness for those). Whoo-hoo! It's "Magnolia" Chapter 8! 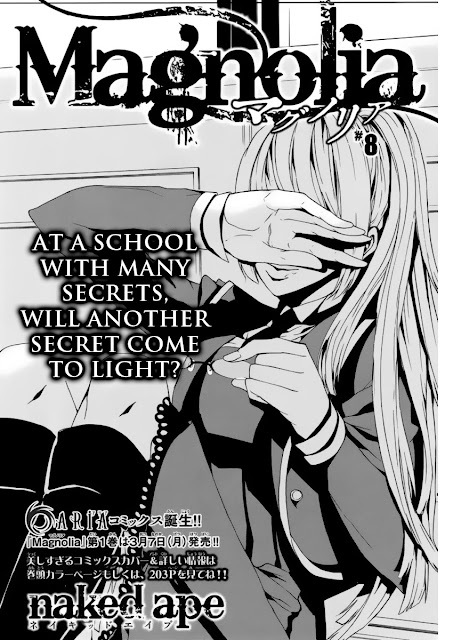 But first I must make a sales pitch for the first volume of "Magnolia" which goes on sale in Japan on March 7th. If you love the series "Magnolia", then plunk down a few bucks and show Naked Ape some love so they can continue this wonderful series for us :). 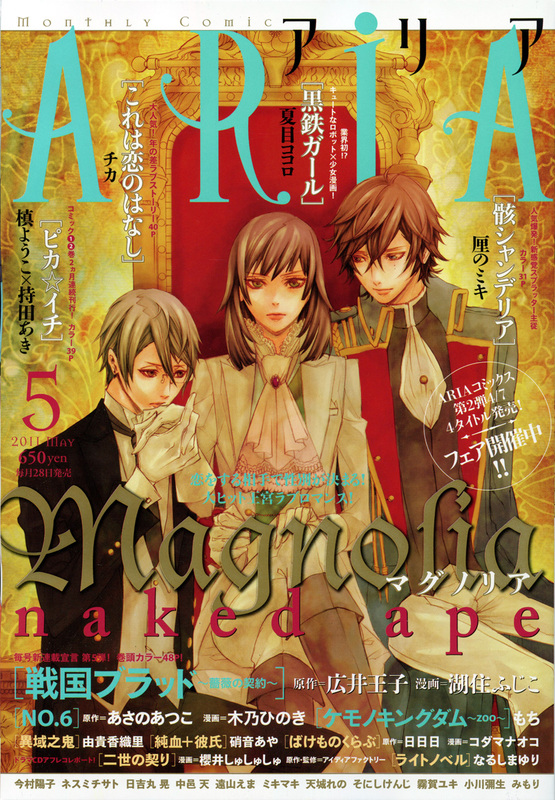 I've already ordered my copy of Magnolia and the other Aria series we translate and I will share what the books are like when they arrive next week (They should arrive at my door on the 8th or 9th). Phew! February was fast and furious! I hope all of you had a great Valentine's Day filled with candy and fun. I'd like to thank all of the Omari's Sister volunteers for a highly productive month and for all their hard work. We've really stepped up our game and I'm proud that we've been able to produce some gorgeous releases :). Cookies for everyone! Onto March! I completed my jury duty service. I wasn't selected for a jury, but still it was a worthwhile experience and I'm proud to do my service as a US citizen. I received Aria 4 today and "Pika Ichi" continues to improve. Something pretty neat pops up at the end of chapter 8, so I'm pumped up again about the series :). Magnolia chapter 8 is WOW!!! I haven't stopped internally squealing since I saw it this afternoon. J+K Chapter 8 is filled with yummy Aki drawings and we get deeper into the matter of Kana's brother Masayuki. There's lots of good stuff this month from Aria. 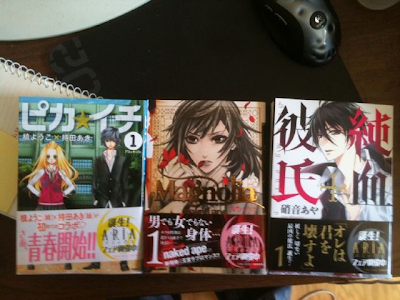 Aria also starts more new series this month and next month. I wish we could do more...but, we are swamped. I've decided to take a break from Orange Chocolate for a few months. We will resume the series in June. I'm sorry to all you OC fans out there, but the break is needed to refresh my perspective on the series so I can give you the best translation I can. I can say, though, after the sports festival arc, the story does get back on track. It's just that right now I can't handle the next two chapters of the sports festival arc.